Huge thanks to Alicia at Reel Red Reviews for nominating us for this awesome award! Alicia’s site is terrific and her reviews are stellar. There is a reason she’s got our loyalty. Absolutely go check out her site if you haven’t already. 1. Display the award on your site. 2. Announce your win with a post and thank the person who nominated you. 3. Nominate up to 15 other bloggers for the award and let them know that you have nominated them. 4. Share seven things about yourself. 1. T. Mack: I refused to get my husband’s name tattooed on me, so I got the emblem for his favorite super hero instead. 2. Jen P: My kids are named after characters from a video game and my dogs are both named after cartoon characters. 3. Dani: When I have spare time, I spend something like 3 hours on YouTube watching wedding dance videos. I think they’re hilarious. 4. T. Mack: I’m an award-winning film-maker and journalist, though I gave up both following my award wins. 5. Jen P: My first crush was Bernard the Elf on The Santa Clause. 6. Dani: I have always lived in Alabama. 7. Sister Geeks: T. Mack, Jen P. and Dani all met when they joined the same Moms’ group online. 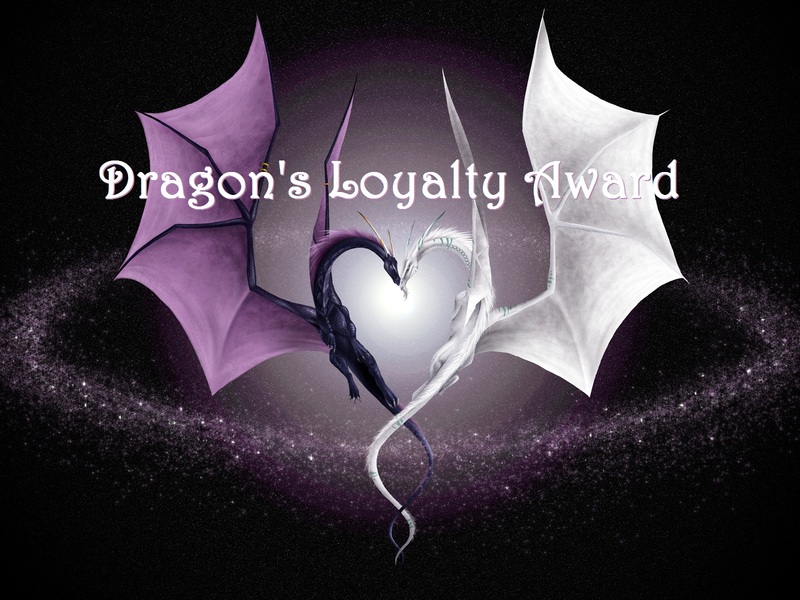 This entry was posted in Awards, Dani, Jen P, Other Stuff, T. Mack and tagged Dragon's Loyalty Award. Bookmark the permalink. ← Two New Comic Series Bring Fresh GIRL POWER! open for paid accounts, who are given top priority. You ladies are so amazingly talented and lovely for nominating me for this. You were our very first commentor. So of course you were the first one we thought of for this. Thanks for being so supportive of our site. YOU ROCK! I feel honoured to be the first commentor on your site. And likewise, you rock. I love your facts! I’m super curious T – what’s your husband’s favorite super hero? The Dark Knight himself… BATMAN! That’s so cool! Congrats you guys, you deserve it!